Imparting Grace: I love Paris in the springtime. . .
where I just stood speechless at the sight of Monet's work. A kind fellow tourist snapped this of the two of us. Dear friends from church stayed at our house with our boys while we spent a week in Paris. I'm still pinching myself, wondering if it was just a dream after all. Now please tell me: do you like to travel? Do you ever go on special trips for special occasions? What's your favorite place to visit? Oh, friend, thanks so much for sharing.....shall we call you Mona Richella?! I loved seeing the pics, and I hope to see some of the same things next year when we go, Lord willing! You'll have to email me any tips that you found helpful, info, etc.! Your trip looks like it was just dreamy! So romantic. We haven't been on a trip in awhile but I believe those times are very important. Awesome pictures Richella. As you know I grew up in England (lived there for 33 yrs before moving to the US) and I never got to Paris! I didn't mind traveling when I was younger but I find the older I get the more of a home body I am. I really don't care to travel anywhere! I don't like airports or flying that much now either. Oh my the gardens at Versailles! How I would love to see those! Wonderful photos Richella. 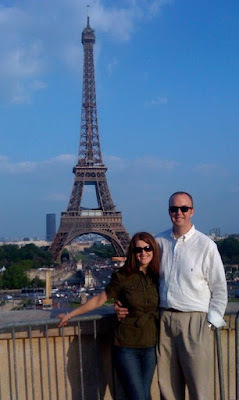 France is on my list of must go to places (my husband has Greece on his list). We're looking forward to traveling abroad once Savanna is done with college. In the mean time we take local trips - exploring the South! I've always wanted to go to Paris in the spring. How lovely. Richella what a dream vacation of a lifetime. I'm just thrilled for you two! 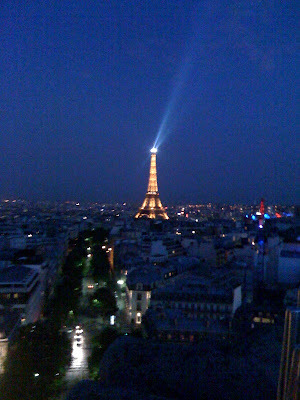 Paris is truly stunning! You took some scenic photos and look like you are glowing with happiness. You are beautiful! PS Sorry about your toe. Owie! Lovely photos. *sigh* What a beautiful city. You are so lucky that you got to go. I hope someday I will too. Amazing pictures, my friend! What a fantastic trip you two must have had. I must say that you two make quite the couple....absolutely adorable! I love Paris, it's been a few years but I am definitely going back - last time I stayed across a bridge from Notre Dame, loved it! I love Paris in the fall...I love Paris in the summer...a wonderful old song, isn't it? I remember my mother singing it when I was young. Actually, I've only seen Paris in the summer and I did love it then. Your husband knows how to milk the beauty out of Paris and you in the same fell stroke! An excellent selection of Richella and Par-ee shot combinations. This blog is a lot more fun than your facebook page! Beautiful, just beautiful! I would be pinching myself too! I have been out of town so I am catching up on my blogs. Sorry for the last comments. We do travel. Never been out of the country but we go on a nice vacation every year and take our son who is 16 yrs. old. We want him to see what is out there too. This year is San Francisco, Yosemite, & Lake Tahoe. I am so excited. You know that I will be blogging about it too. Glad that you had a great time. The pictures are lovely.